Are you fit - Would you run the London Marathon (or similar) to fundraise for us? Are you a daredevil - would you jump out of a plane to fundraise for us? Are you brave - would you have your back waxed to fundraise for us (fellas only!)? 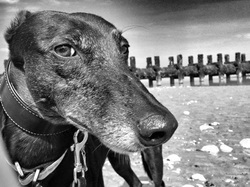 Or perhaps you have another wild and whacky idea for raising funds for our homeless greyhounds? Do you have items to sell that you would be prepared to offer a percentage to G4U for either putting a link on the website and/or attending our annual fun day? These ideas are not exhaustive and if you have a brilliant idea which will raise funds for G4U, then please contact us using the details on the Contact Us page.